Aruba, one happy island that contains everything you need and more! Whether your a foodie, the adventure type, or a beach bum, Aruba has everything at you want at your fingertips! Away from the beaches Aruba is a desert island full of cacti, iguanas, goats, donkeys, strange boulder formations and even the remains of a Spanish gold mine. Contrasting sharply with the resort area's serene beaches, the north coast features craggy limestone cliffs, giant sand dunes, and crashing breakers. You'll find the overwhelming majority of Arubans are genuinely friendly and welcoming. With little history of racial or cultural conflicts, the island has no cause for animosity. As the license plates say, it's One Happy Island. Though Dutch is the official language, almost everyone speaks English and Spanish. 1. Activities: Sharp geographical differences create a unique combination of land and sea activities. Calm, glittering turquoise waters fringed by marshmallow-soft ivory beaches neighbor a national park encompassing a wild windward coast and unsettled rugged interior. Quiet horseback rides and leisurely beach walks are good for the soul. Hikers can explore twenty rugged miles of trails in Arikok National Park. Golfing combines the challenge of constant trade winds and tropical sun with desert beauty and sweeping Caribbean views. 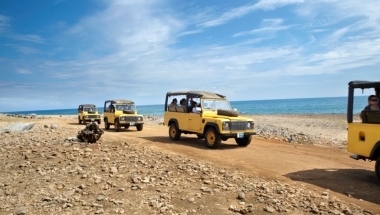 Tour the island from the comfort of an air-conditioned motor coach or on a jeep safari. Be sure to exercise caution on mountain bikes and all-terrain vehicles! The water is calm and perfect for swimming at resort areas. Challenging wave conditions and constant trade winds attract an international host of windsurfers as well as kite surfers and wave sport enthusiasts. Hop aboard a pleasure boat or luxury catamaran for a day of sailing. Rent a jet-ski, sunfish, wave-runner or tube for some wet 'n wild fun. Reel in dinner on a fishing excursion or kayak tranquilly along the mangrove coast. Shallow coral formations await snorkelers but reef and wreck diving reveal a brilliant underwater fantasy. 2. Beaches: Fringing turquoise Caribbean waters, kissed by the sun and cooled by constant trade winds, Aruba’s beaches include wide shaded expanses, quiet retreats, and busy sunbathing and water sports meccas. Much of the seven-mile strip along the west coast is lined with resorts and packed with activity. Beachgoers relax on their comfortable lounges, lost in their favorite book or enjoying people-watching. 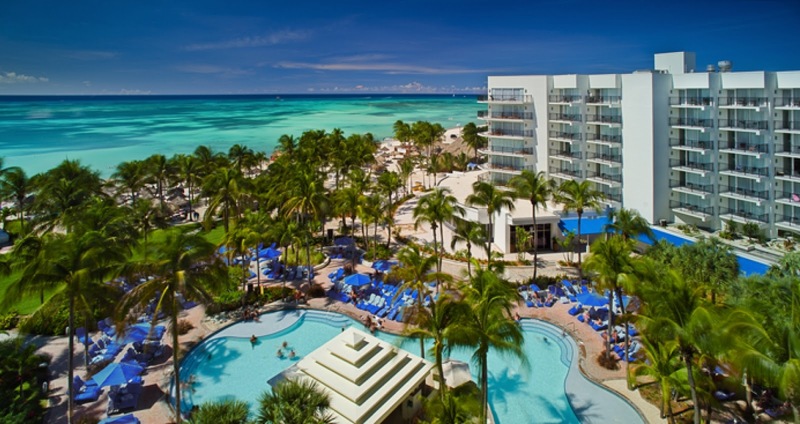 Swimming, snorkeling, kitesurfing, waterskiing, tubing, parasailing, banana-boating, and all kinds of wet ‘n wild adventures are just steps away on Aruba's beaches. In contrast, the Caribbean beaches along the windward coast are in more secluded and undeveloped areas. Overlooked by craggy desert terrain, this stretch of Aruba beaches is home to magical coves carved out of limestone and inlets formed by the relentless pounding of waves. Because of strong undertow and crashing waves, swimming here is not recommended. 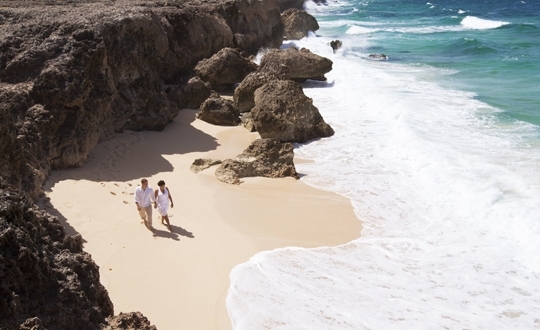 But the Caribbean beaches on Aruba’s wild coast do afford tranquility, privacy and unique natural phenomena. Both coasts afford spectacular, glittering Caribbean views that will surely take your breath away. All Aruba beaches are open to the public. 3. Shopping: Shoppers will find an enormous selection of international brand name products and prices that are 10 – 35% lower than those in the United States. Jewelry store-lined streets and upscale malls with prestigious international brands fill the downtown area while gleaming new shopping/entertainment centers front the high-rise resorts. 4. Restaurants: On Aruba, the abundance, full flavor and diversity of cuisines prepared by world-class chefs; fine international wines; casual, elegant and creative ambiances, and attentive service combine to create very special dining experiences at out Caribbean Restaurants. The high-rise strip is now home to over 100 resort and independent restaurants. This bustling area is dotted with an eclectic patchwork of shops, malls, cafés and Caribbean restaurants. But do venture downtown and off the beaten path to discover local favorites and trendy new establishments. No matter where you go, you will find an eclectic menu of delicious ethnic and international fare. 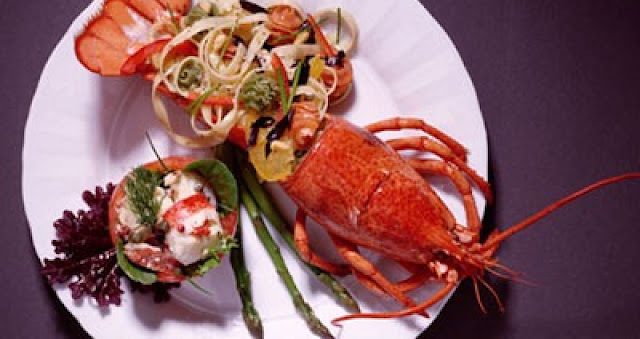 Classical delicacies such as frogs' legs, duck, venison, foie gras and chateaubriand join fresh Caribbean catch such as mahi-mahi and wahoo, Argentinean churrasco, Middle Eastern shoarma, Japanese sushi and teppanyaki selections, Spanish tapas, Indian curries, Caribbean jerk ribs, homemade pastas, USDA choice steaks, Maine lobster and local goat stew and keshi yena. Indeed, the tiny island nation of Aruba provides an impressive world culinary tour rivaling the most cosmopolitan of cities. 5. Attractions: World-renowned beaches along the resort-lined west coast fringe turquoise Caribbean waters, kissed by the sun and cooled by trade winds... Secluded beaches off-the-beaten path along the wind-whipped coast afford magnificent panoramas. See the sights! Explore natural wonders throughout Arikok National Park, the Casibari and Ayo rock formations and Indian caves. 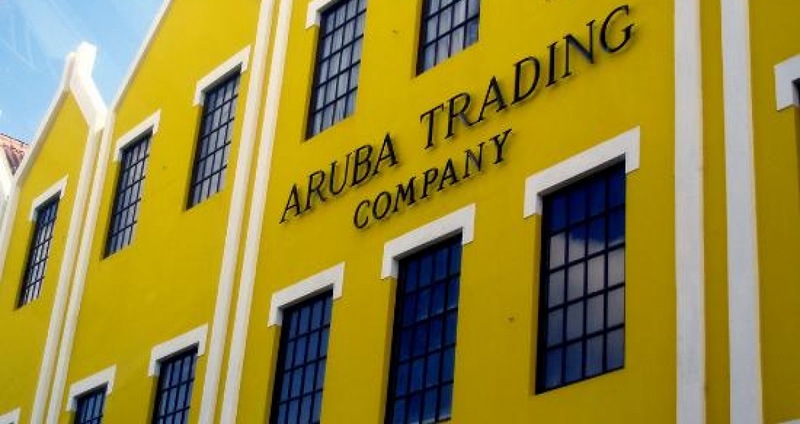 Walk through history at the Bushiribana gold mill, Aruba Aloe Factory and Alto Vista Chapel. Museums in downtown Oranjestad include the new state-of-the-art Archaeology Museum and the fascinating Numismatic Museum. Kids will enjoy all the creatures at the Butterfly Farm, Ostrich Farm and Donkey Sanctuary. 6. Events: The Aruba calendar is filled not only with traditional holiday celebrations but also with international tournaments, caribbean festivals , competitions, regattas and sporting events; film, art, food and music festivals, and other cultural events. It reflects the island's treasured heritage and multi-cultural history and also the elements that attract hundreds of thousands of tourists. Carnival is a thrilling show of over-the-top pageantry, brilliant costumes and fantastic music. It is a fun-filled season that begins on November 11 at 11:11 am when the Prime Minister symbolically turns the country over to the Prince and Pancho, and formally ends before Good Friday with the burning of the King Momo effigy. The months in-between are filled with contests and jump-ups. The two final weekends feature the Pajama Parade in San Nicolas and the Lighting Parade in Oranjestad. 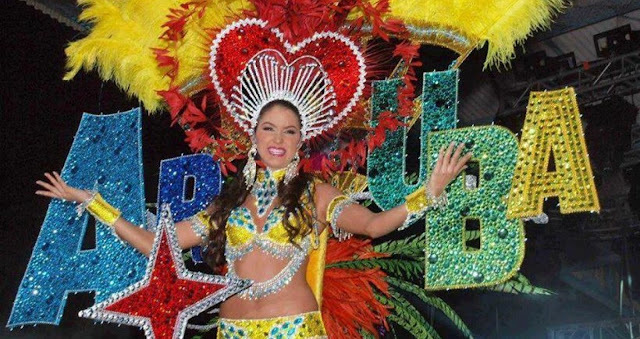 Grand daytime parades shut down Aruba's two cities. Do check the 2013 calendar to see all that is happening! 7. Nightlife: Aruba nights add excitement to the island's quiet desert island persona. Mingle with locals and tourists at any of the scores of casual beach and pier bars that dot the southwest coast from downtown Oranjestad to the far end of the high-rise strip. Weekly managers' cocktail parties and daily happy hours are island traditions. Cruises depart from Palm Beach piers; hop aboard for a sunset sail, romantic nighttime interlude or a wild party with rope swing. At resorts, carnival shows and Las Vegas-style revues boast talented dancers and brilliant costumes. Sumptuous outdoor theme night buffets are perfect "stay at home" entertainment. 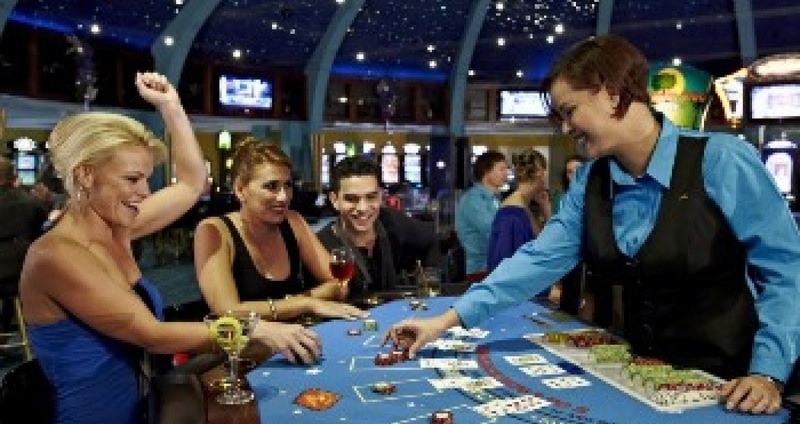 Ten exciting resort casinos offer non-stop after-dark gaming action, lively house bands and exhilarating ambiance. 8. 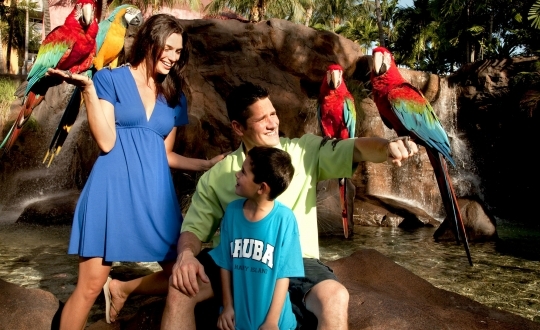 Getting around: Getting around Aruba is quick and easy. Bus service to and from downtown Oranjestad and resort areas is reliable and inexpensive. Taxis are always available and have set rates. Many visitors rent a car for at least one day to see the sights beyond resort areas. Driving is on the right side of the road, foreign and international driving licenses accepted. Free parking throughout the island, no right turns on red light. Click here to view the road signs in Aruba. 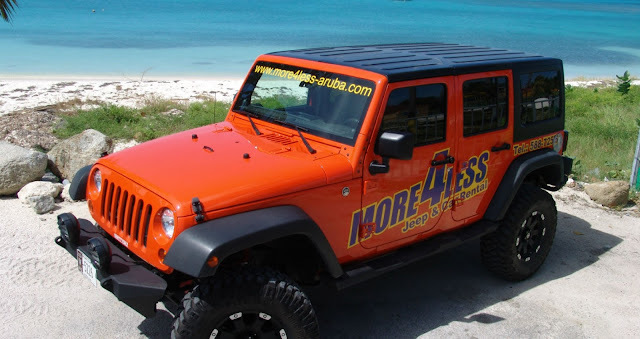 While many tour in the comfort of an air-conditioned motor coach, if you are more daring may prefer a jeep or all-terrain vehicle during your Aruba travel! Visit http://www.aruba.com to learn about all the wonderful things that Aruba has to offer or like their Facebook page to just salivate with all the scrumptious food and all the stunning pictures they post of their drop dead gorgeous beaches. I have been wanting to visit Aruba for as long as I remember. For me if you don't take me to the ocean, is not a real vacation. The waves of the ocean soothes me, it's always been a kind of Zen experience for me. The ocean is so magnificent, peaceful, and awesome. The rest of the world disappears for me when I'm at the beach.